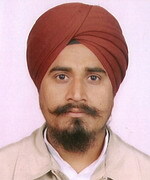 Suveg Singh Khattra was born in the city of Ambala in the northern state of Haryana, India. He was the oldest victim in the shooting. He was part a large family of three brothers and three sisters. He had made his living in India by farming. He had immigrated to the United States in 2004 with his wife, Nachittar Kaur, to live with their son, Baljinder Singh Khattra, and daughter-in-law, Kulwant Kaur. His wife had unfortunately passed away in 2010. 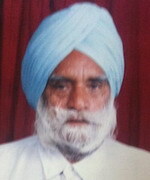 Suveg Singh is survived by his five children and seven grandchildren. He held a key role at the Sikh Temple, as he provided companionship by asking members of the congregation about their families, and offering uplifting scripture passages. Suveg Singh was a strong and devout man, who was known to come to the Gurdwara early in the morning, and stay late through the evening. He will be remembered by those around him for his punctuality in everything he did. Satwant Singh Kaleka was born in the city of Patiala in the northern state of Punjab, India. He was born into a large family of nine brothers and sisters. They played together as children, and remained close throughout life. He fondly remembered that his extended family was always considered an immediate family. He would chuckle and say, that’s why we have the largest family on Earth, and we’re lucky for that. He made his living as a farmer in India. 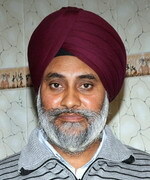 Satwant Singh immigrated to United States in 1982 after being sponsored by his elder brother, Dr. Jagjit Singh Kaleka, who was practicing Veterinary medicine in Wisconsin. He immigrated with his two sons, Pardeep Singh and Amardeep Singh, and wife, Satpal Kaur. He worked long hours at a gas station to make ends meet. By 1987, he had saved up enough money to buy a small gas station. With help from his family, the business ran with great success. In 1993, he bought his current house in Greenfield, Wisconsin. His initial order of business was to plant a United States flag on the front lawn. The flag stood triumphantly throughout the years. Satwant Singh, along with several other community members, organized their savings to start the Sikh Temple of Wisconsin in 1997. From its beginning until August 5th, 2012, he served as its leader and president. He spent countless hours at the Gurdwara maintaining the facilities, helping run the daily services, and offering a helping hand to anyone in the congregation. Satwant Singh Kaleka is survived not only by his wife, and two sons, but by every life he ever touched - his in-laws, his friends, his Sikh community, his neighbors in Milwaukee - even today, as his soul has crossed over to the other side. Ranjit Singh was born in the village of Dalu Wala, Punjab. He had two brothers, one of whom was Sita Singh, and two sisters. He moved to New Delhi after completing his education. He then subsequently moved to the United States in 1997. Ranjit Singh is survived by his wife, Lokinder Kaur, and three children, Jasbeer Kaur, Jaspreet Kaur, and Gurvinder Singh. His son, Gurvinder Singh, was only seven months old when Ranjit Singh left their home in India for better life in the United States. He was hoping to return to India for the first time in November 2012 in time for Diwali celebration. Besides working at the Sikh Temple, Ranjit Singh worked odd jobs on the weekdays to send money back to his family in India. He wanted to a secure bright future for his family. He will be remembered as a humble and hard-working man. Sita Singh was born in the village of Dalu Wala, Punjab. He was the younger brother of Ranjit Singh, another victim of the shooting. He was part of a family of five children. Sita Singh moved to New Delhi after completing his education. Prior to moving to the United States in 1995, he lived in Canada and England. He moved from New York City to the Sikh Temple only six months before the shooting. Sita Singh is survived by his wife, Surinder Kaur, and four children, Sarabjeet Kaur, Harmeet Singh, Kamaljeet Kaur, and Jasbir Singh. He was a very dedicated Sikh, who selflessly attended to all duties at the temple, including daily services, maintenance, and cooking. He was also very fond of music and reading. 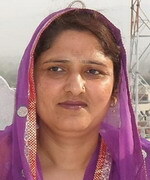 Paramjit Kaur was the only woman killed in the shooting. She is survived by her husband, Inderjit Singh Saini, and two sons, Kamaljit Singh Saini and Harpreet Singh Saini. She had recently returned from a trip to India with her sons, where they had visited Harmandir Sahib (Golden Temple) in Amritsar, Punjab. This was her first trip to India since arriving in United States in 2004. She was a weekly presence at the Gurdwara, as her faith stemmed deep in the Sikh religion. She came to pray and serve every Sunday and Thursday. She greatly valued education, and wanted to ensure her sons’ made use of the educational opportunity here. She was a very selfless woman, always putting her husband and sons first before anything. 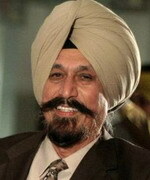 Prakash Singh was born in New Delhi, India. He was part of a family of four brothers and one sister. 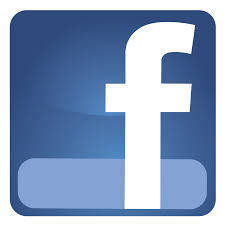 He had moved to the United States in 2005 from New Delhi, India. 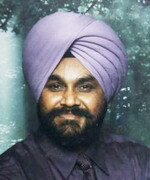 Prakash Singh had been a priest at the Sikh Temple of Wisconsin for about 7 years. He had received his green card in the early part of 2012. He had gone to India in June 2012, and had returned with his wife, Ravinder Kaur, son, Prabhjot Singh, and daughter, Palmeet Kaur. He was preparing to move to an apartment with his family within the next week or so before the shooting. Prakash Singh was known as a man who truly followed the Guru’s teaching, and instilled the same in his children. He was known by his friends and family for being a very caring and hard-working individual.